At Dr. Ellen Im Pediatric Dentistry and Orthodontics, in Poway, CA, we’re passionate about providing children with a positive visit to the dentist. To us, that means more than just quality check-ups and state-of-the-art dentistry. When you visit Dr. Ellen, she will treat your little ones as if they’re her very own, with a gentle touch they can smile about at every visit. Not everyone feels relaxed when it’s time to see the dentist! That’s why we go out of our way to make everyone feel at home and spend the time educating and bonding with little ones. When children feel good at the dentist early-on, they’re better able to experience a lifetime of good oral health. Call us today to schedule a visit, and be sure to ask about our Cavity Free Club! Dr. Ellen provides extra gentle cleanings and dental examinations to keep little smiles shining bright. We want your kids to enjoy their checkups as much as possible so they look forward to coming back! Early care ensures a healthy smile for life. As a mom of three, Dr. Ellen knows that parents and kids alike can feel a little nervous about visiting the dentist. That’s why our team goes the extra mile to provide the highest quality dental care, personalized treatments and friendly service. Call our friendly staff today! Clear aligners offer a more flexible alternative to traditional braces that will result in a straight smile at a fraction of effort. Get the grin you’re after, without giving up favorite foods or photogenic smile. Ask us for a consultation to find out if Invisalign is a good fit for you! If your child needs emergency dental work, don’t hesitate to call our office. Not every dental emergency requires immediate attention, but the sooner we can help you recover the faster you can enjoy better health and comfort. A pediatric dentist that is board certified has gone through a rigorous examination process with the American Board of Pediatric Dentistry (ABPD). Only dentists that have completed a residency in pediatric dentistry can sit for the board certification examinations. Board certification tests the knowledge and problem-solving abilities of a pediatric dentist. Not all pediatric dentists are certified by American Board of Pediatric Dentistry. The ABPD certifies pediatric dentists based on standards of excellence that lead to high quality oral health care for infants, children, adolescents, and patients with special health care needs. Certification by the ABPD provides assurance to the public that a pediatric dentist has successfully completed accredited training and a voluntary two-part examination process designed to continually validate the knowledge, skills, and experience requisite to the delivery of quality patient care. A pediatric dentist certified by ABPD is also known as a Diplomate of American Board of Pediatric Dentistry. Dr. Ellen is a Diplomate of the American Board of Pediatric Dentistry. "Dr. Im and her staff are excellent. They are all so friendly and really know how to make my children and me comfortable throughout the entire visit!" "The office staff is super nice and willing to work with you on appt scheduling, payments, anything! I had a ton of questions and they were all answered promptly and politely." "They take extra care with the kids and are very patient with them. Not a tear shed during the experience. I highly recommend them!" "My daughter was anxious about going to the dentist for the first time, but Dr. Im made her feel very comfortable by making her smile and laugh." "Still absolutely love this dentist. Each chair has a TV screen or an iPad with Netflix and my daughter never wants to leave! We were expected to have a 4-6 month orthodontia treatment and 5 months later she's done!" "Dr. Im and her staff are awesome. My children feel very comfortable here. My daughters always look forward to retrieving their prize at the end of their check up. I wouldn't take my kids anywhere else." 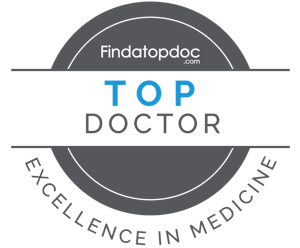 "Dr. Ellen is excellent! Definitely, hands down the best pediatric office! My Son had to get some treatment done and without a doubt Dr. Ellen was extremely caring and fun!" "Dr. Ellen Im is a dentist that is extremely careful and caring to her patients. I highly suggest you go here because it is a great dentistry and the prices are pretty cheap considering this dentistry is amazing." "Dr. Ellen Im is the most caring dentist I have ever met. My daughter loves coming to see her and we would never think to go anywhere else. She is amazing with the kids and takes her time. Her staff is wonderful and friendly." "Dr. Ellen is amazing! My boys all loved her and felt comfortable around her. Which is a very big deal. I recommend anybody who wants to take their children to a dentist who will actually care about your child, to see them." Check Out More 5-Star Reviews!